American Excelsior’s Aspen Bed is manufactured from all-natural Aspen wood for use as a contact bedding for small animals such as mice, rats, hamsters, gerbils, guinea pigs, and snakes. It is a premium contact bedding product. Aspen Bed isn’t a by-product of some other manufacturing process. It is manufactured from pure Aspen wood, specifically for use as a contact bedding material. 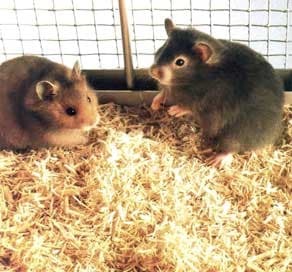 In actual laboratory tests, a variety of small animals were given a free choice in a selection of bedding materials. The test results were clear—these animals preferred Aspen Bed 2-to-1 over cedar shavings and as much as 20-to-1 over bedding made from by-products and other wood materials. Why Do Animals Prefer Aspen Bed? There are many good reasons. Aspen Bed is amazingly soft and clean—a material that actually encourages nesting. 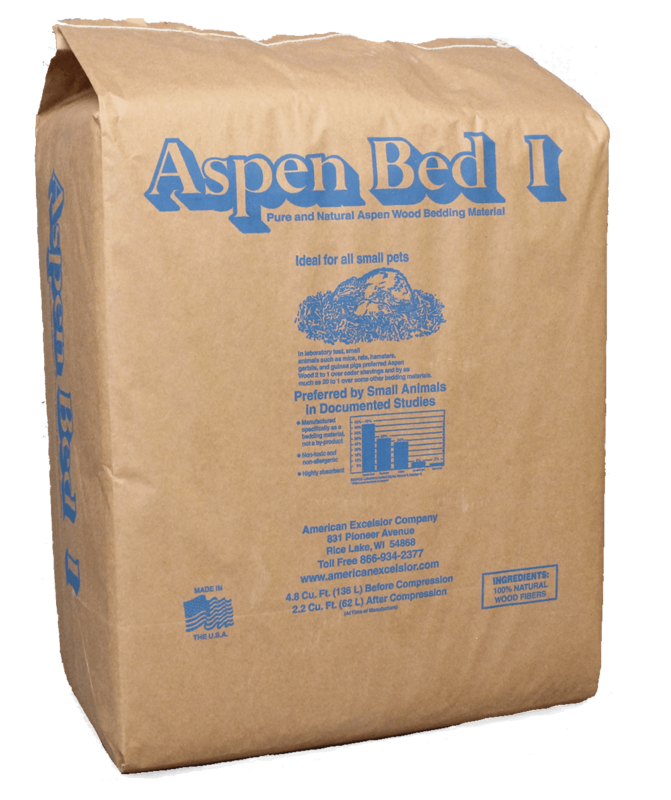 Manufactured from all natural Aspen wood particles, Aspen Bed is the most natural bedding material available. And, because it’s odorless, dustless, and highly absorbent, it provides animals with a healthy environment. In addition, Aspen Bed is both non-toxic and non-allergenic. Aspen Bed is produced from aged wood in a ”fractured fiber,” which provides high absorption properties not found in most beddings. The proof is in your own application. For more information about Aspen Bed, visit our website at www.AmericanExcelsior.com, or call toll-free: (866) 934-2377.